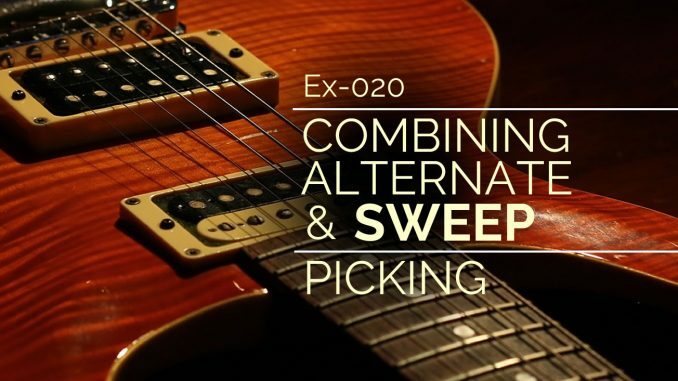 Improve your technique and speed by combining alternate picking and sweep picking. 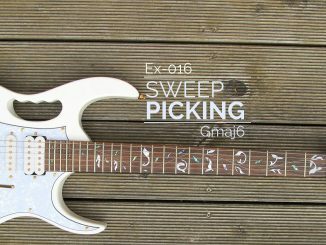 In the following exercise, you will combine alternate picking lines with sweep picking lines in both directions (ascending and descending). When ascending, notice how the notes on a string move to the right, but the sweep moves to the left. Descending, the opposite pattern emerges. 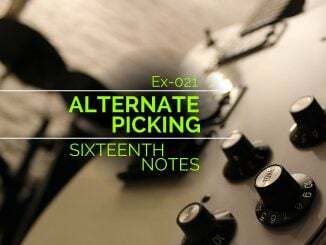 It forms a Z-pattern, which isn’t required, but it may help you find other locations on the fretboard to combine alternate and sweep picking. 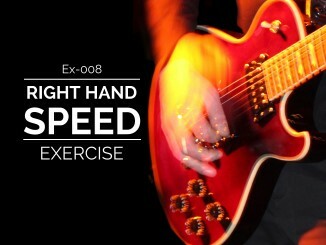 This exercise was written and recorded by James Coulthard. It is written in the key of E♭, which has 3 flats (B♭, A♭, E♭).